The five European Ultimate Chapionship Regionals (EUCR) events are now completed, and teams have secured their spots for the European Ultimate Championship Finals (EUCF), which will take place October 5-7 in Wrocław, Poland. 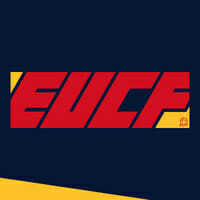 The EUCF is the premier club championship event for Europe. Here are the teams for the all three divisions. Note: The South 2nd place team, Vira O Disco, and the West 1st place team, Black Eagles, declined their bids to this year’s EUCF. Ravi Vasudevan is Ultiworld's European editor and a host of the podcast EuroZone. Emails about EuroZone should go to eurozoneultimate@gmail.com. Ravi played for WPI in the US until 2008. He has been living and playing in Europe since 2009 and has competed with Dutch teams at WUGC 2012 and WUCC 2014. Comments on "EUCF 2018: Team List"